Atlustube seems to be treating us to weekly Persona trailers, so this time around we have Chie and Shadow Labrys' trailers to enjoy and excite us. My favourite part? My low Japanese level managed to notice that the first word in Chie's trailer is 'meat'. Both are offering pre-order bonuses including part 1 of the Persona Tarot Cards and a mini Teddie punching bag. 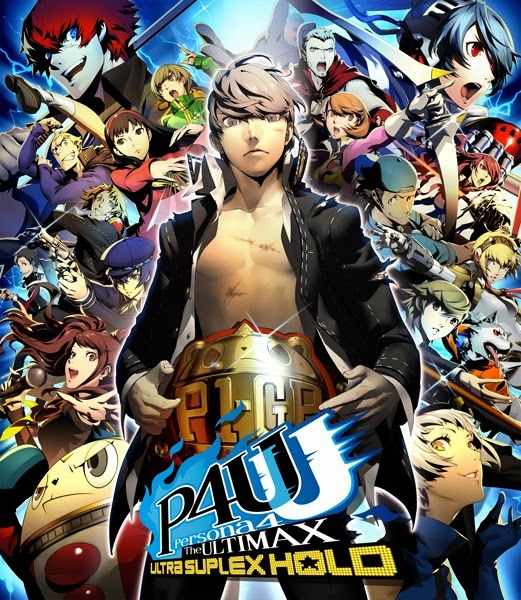 See the other trailers on our Persona 4 Arena Ultimax posts: Game Trailer, Yu Narukami and Tohru Adachi, Sho Minazuki, Yukiko Amagi and Yosuke Hanamura, Ken Amada and Koromaru (at the bottom of the linked post), Labrys (at the bottom of the linked post), Junpei Iori and Rise Kujikawa. For some reason I didn't do a post on Yukari's, so here's her trailer on Youtube.